Krispy Kreme is headquartered at Winston-Salem, North Carolina, United States. It is a U.S. based restaurant, doughnut company, and coffeehouse chain. Krispy Kreme Doughnuts Company was founded by Vernon Rudolph in 1937. At Krispy Kreme, one can find baked goods, soft drinks, beverages, sandwiches, frozen desserts, and iced beverages. The restaurant chain is operational via 1004 locations worldwide. You can find your favorite Krispy Kreme recipes at both online and retail locations. To find a retail location near you use the store locator provided below. If you are looking for Krispy Kreme headquarters and customer service information we are here to assist you with all the necessary information. Read on and have a nice time resolving all your problems. Customers must feel free to send their suggestions, queries, and complaints through mail. Step 1– Customers who are willing to contact Krispy Kreme through email must click here Link or use the direct email address KKGuest@krispykreme.com. 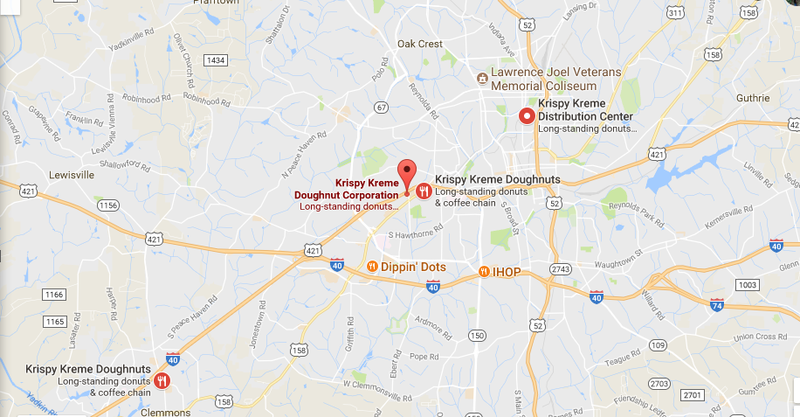 Willing to visit a Krispy Kreme physical location? You can locate a store near you using the store locator provided by the company. Step 1– To get started open the homepage of the doughnuts company and click on the “Locate” button found at the top menu. Step 2– A store locator section will appear on the screen. Enter your City, State/Province or Postal Code in the blank space and click on the search icon.